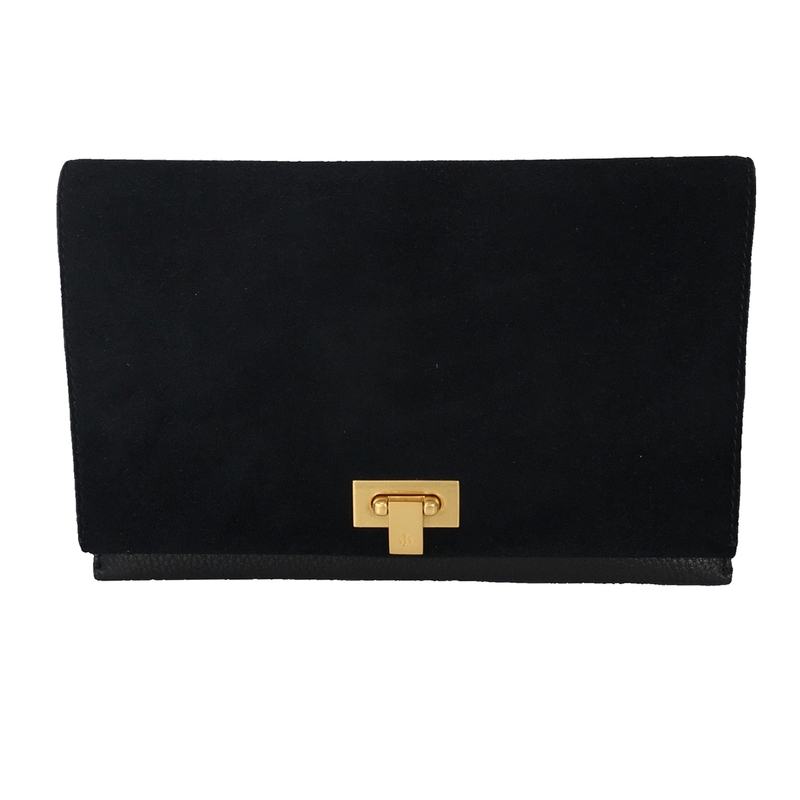 Tory Burch's Carmen clutch features lush suede and smooth leather that strike a perfect balance on a streamlined clutch with logo-etched hardware. 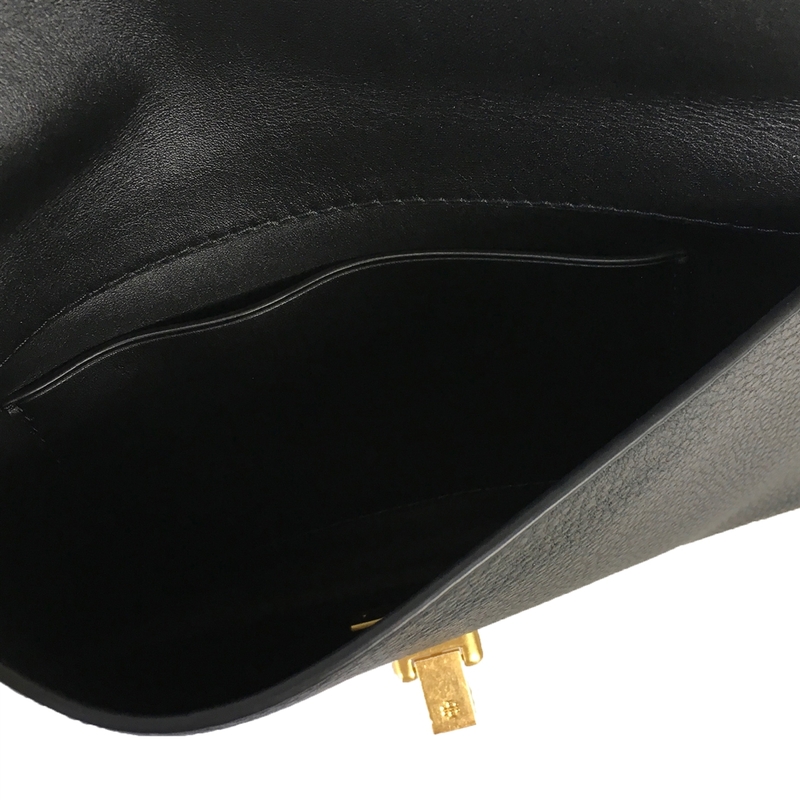 The evening bag that will go with everything and the classic style will last season over season. 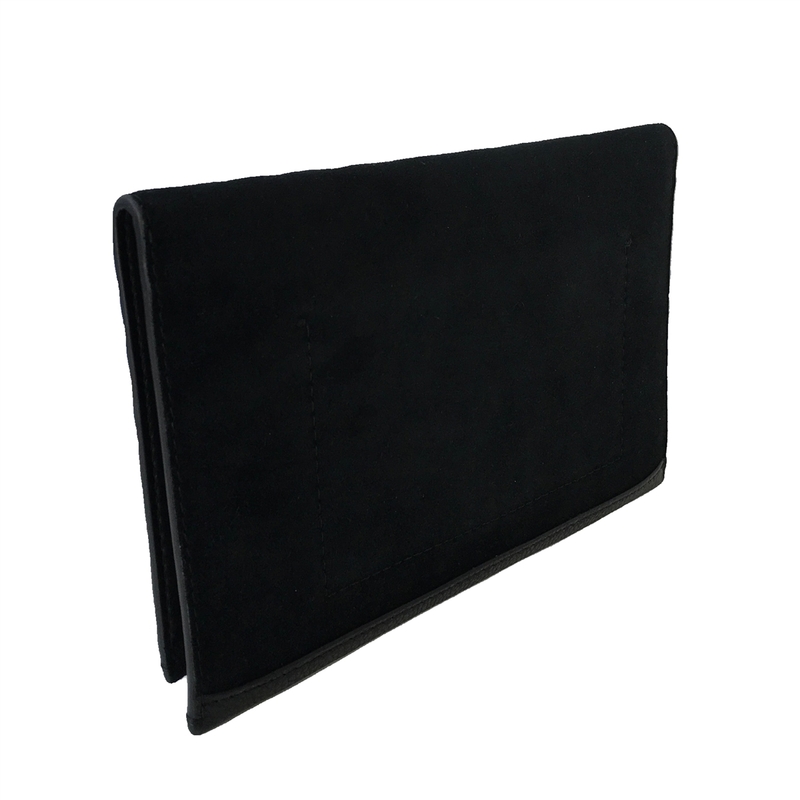 Clutch crafted in lush suede and pebbled leather.